That small fact is likely adequate to spoil my hopes of ever being a *good* writer, but there it is. 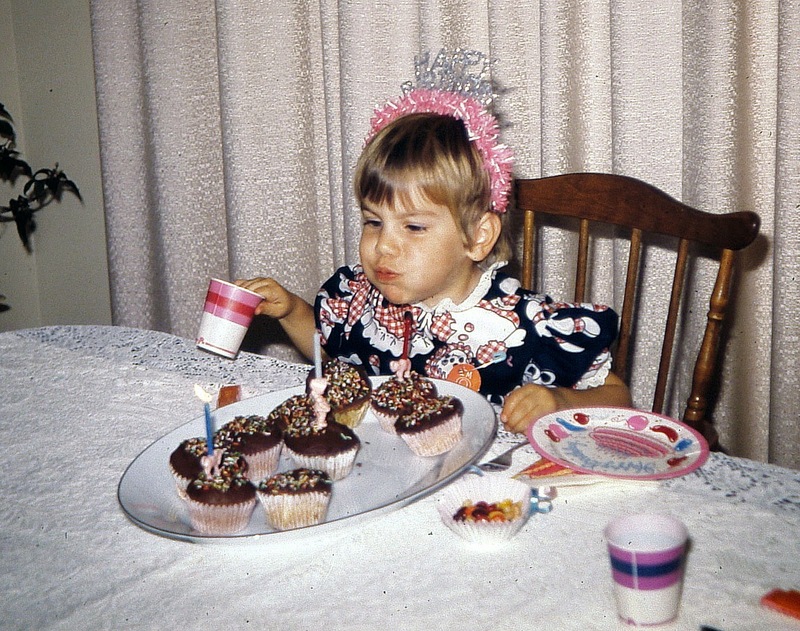 The actual truth is that I had a very happy childhood. That said, I did not own a pair of Nike’s until well into the sixth grade, maybe later, and certainly well after Everyone Else was wearing them. Moreover, when I did get them, they came from Sears and not from Athlete’s Foot–which was where the cool people bought them. And they cost only $20–which I’m pretty sure was the largest amount of money my mother had ever spent on a pair of shoes for me or anyone else at that point in our family history. In fact, I got almost all of my clothes from Sears in those days. Unless, of course, my mother made them. Which she sometimes did. My father had a good job. We lived in a plain but nice neighborhood. It wasn’t that we couldn’t afford store-bought clothes–things from The Gap, The Limited, from Limited Express. It was that we didn’t buy things there because it was less expensive at Sears, and cheaper still if you made it yourself. We also went to church three times a week. Sunday morning: Sunday school and the worship service. Sunday night: evening service. And Wednesday evening for prayer meeting, choir practice, youth group, whathaveyou. We were there every time the doors were open. From time to time, we would complain, my sisters and I: Why do we have to go to church All The Time? And why can’t we just buy everything at The Gap? And don’t you understand that I need the collared shirt to be an Izod? But my parents were deaf to these concerns. They loved us. They provided and cared for us. But they were motivated by things other than the meager reputation one might manufacture based on clothing or the right pair of shoes. They were motivated by love and miracle, by committed belief in the resurrection of Jesus. By the idea that their lives had–in a very real way–been purchased by blood, and that of God’s Son. Very simply, they did not believe that their lives were their own: for entirely their own satisfaction, their own pleasure, and a concomitant accumulation of stuff. And so it was no surprise that–after we had all left the house–my parents did not quietly retire. No. They joined Mercy Ships and soon enough were off to West Africa for months at a time: Benin, Togo, Liberia, the Gambia, Sierra Leone. From May of ’99 to January of ’09, it seemed my parents were perpetually gearing up to join the ship or just returning from an outreach, or looking ahead to where the ship would be the next year and determining where (and when) they could join her. 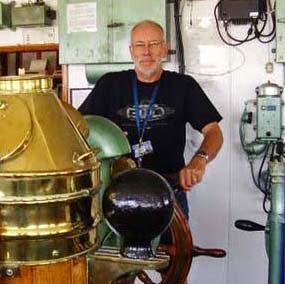 My father, the electrical engineer, quickly became the head electronics technician on board, doing everything from replacing light bulbs and installing air conditioning to repairing medical equipment, the ship’s sound system, even her gyrocompass. And my mother, a nurse by education and training, went from being the crew nurse to patient admission and then to caring for eye patients and those on the ward, before and after surgery. She spent weekends teaching health care practice in the Displaced Persons Camps, holding babies, comforting mothers, laughing with children. Neither my parents nor any of the crew was paid for this, of course. 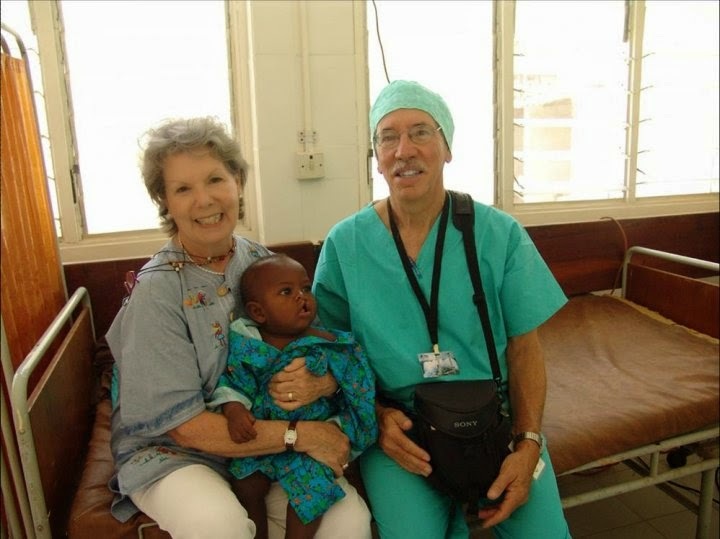 Commonly in the developing world today, there is no health care system for the least of these– for people living out in some lonesome wild of West Africa, where unenlightened belief systems credit evil spirits for cataracts, fistulas, benign and grotesque tumors. All of the ship’s crew–from the captain to surgeons, from the engineers to the kitchen’s cook–pay their own way to be there. 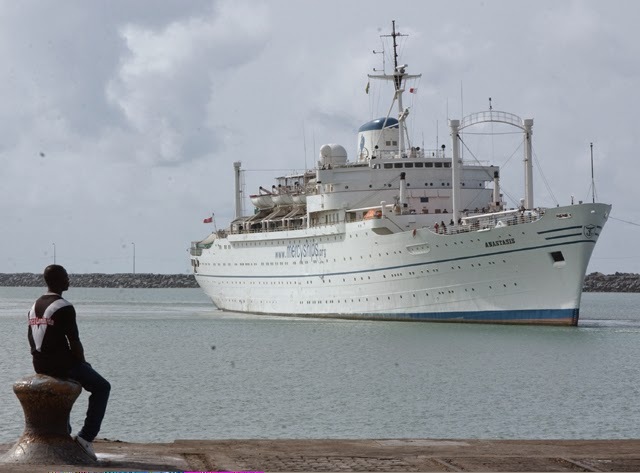 Every year, Mercy Ships plans a destination and then, months and weeks ahead of the ship’s arrival, sends a small team into the countryside, looking to spread the word: a hospital ship is coming, and perhaps the doctors can help you. By the time the ship arrives in port, the pier is lined with hopefuls: people who have walked for weeks in the name of possibility. They are young men escorting blind fathers, parents cradling infants starved by cleft palates, the unnumbered rejected from nameless villages who have tumors occluding their sight, blocking their breathing, slowly but certainly taking their lives. The screening lasts for days as expert doctors and nurses talk to, examine, evaluate patients. There are some whom they must turn away: the ship is not equipped to do the long-term care required for cancer. But benign tumors and cataracts, these can come out. This jaw can be reconstructed, that palate made whole. This life restored. Sometimes my father’s favorite task was to visit those waiting for evaluation. They stood or sat in the hot African sun, and he brought them cups of cold water. Remarkable what work like that can do, how readily it can galvanize the beliefs one clung to while in the comforts of an American suburb: that there is far more to life than what we see here, more than our car, our career, the number of bedrooms or baths in the house. We give our hearts away, a sordid boon! I was a literature major. I’ve read Wordsworth’s Preludes and I know what that poem means. The poet wasn’t decrying materialism for the sake of Jesus and the world he died for– but his opening lines are appropriate, aren’t they? Getting and spending, we give our hearts away. I do, anyway. Despite the way I was raised, despite the example set by my parents, I am enamored of the Pottery Barn catalogue, the J.Crew catalogue, the possibility represented by a paint chip. I am as materialistic as the next person–no. I am the most materialistic person I know, because I know what I’m like, and what I want, and what I’m lured by. And what I’m lured by numbs me, lies to me, makes me believe that if I can just get That Thing, or get these things to look That Way, then I will finally be happy. I give my heart away–a heart bled for and died for, a life paid for–so that (somehow, temporarily, in this instant after which all of it will readily be forgotten) I can look (and feel?) good. Yet these matter (sometimes) too much to me. And here, O Reader, I will make– in this very blog that has never been a journal or open book on my life–a very real confession: God has been merciful to me in my materialism. I do not mean that He has turned a blind eye to my selfishness or has overlooked my tendency to judge people by their exteriors, although even in these things He has been merciful. But His greatest mercy in my materialism has been expressed by withholding: by simply not enabling me to indulge my greed. Yes, I live in a charming but simple neighborhood, in a charming but simple house. I enjoy, like most Americans, living in the top one percent of the world’s population–a fact I have always been keenly aware of due to my husband and my parents, who think about these things. But in comparison with that of most of my peers, the population among whom I live out the dailiness of my life, my ability to be a middle class consumer has been radically curtailed. My husband, due to the vicissitudes of our economy in the last decade or so, has twice lost his job. And while he has always worked hard and has never once spent a day on the couch, we have spent some years living on an income below the poverty level. It is a miracle that we still live in our house. It has been grace to put gas in the car and groceries in the refrigerator (and that we own a refrigerator). Needless to say, our home is in want of repairs. Some of our furniture is Old. We simply do not order things from J. Crew. Or Pottery Barn. And all of this is mercy. I imagine that God, whose own Son bled and died for me, understands the way I am made–and that, were I able to get my hands on all the beautiful stuff (and it is so beautiful) this world has to offer, I would lose that saltiness in the interest of my own self. I would pull the bowl of my possessions right over my head and gaze at it all in the small light of my small life, and so, eventually, the light of my life would be extinguished. I don’t think Jesus is saying that we shouldn’t care about food and drink, that we should completely disregard clothes. I think he delights in my husband’s skill in the kitchen, and he is pleased by the ingenuity of design and the creativity of fashion. But it’s amazing, isn’t it?, how readily we are distracted by these things, how utterly consuming they–and things like them–can be. Well, I’m amazed by that impulse in me, anyway. I can’t honestly speak for anyone else. Anyway, I think Jesus said all of that about *not* worrying over our food, drink, and clothing so that we could let go of that stuff and instead find out His provision for us, so that we would be free to serve Him and thus find out His life and His joy. I believe and, to some extent, have known, that there are treasures–vast, exquisite, shining–that cannot be listed on the pages of a clothing catalogue, and there are spaces–holy, pure, beautiful–that will never be photographed for a magazine. There is much more life, sometimes, in a cup of cold water. 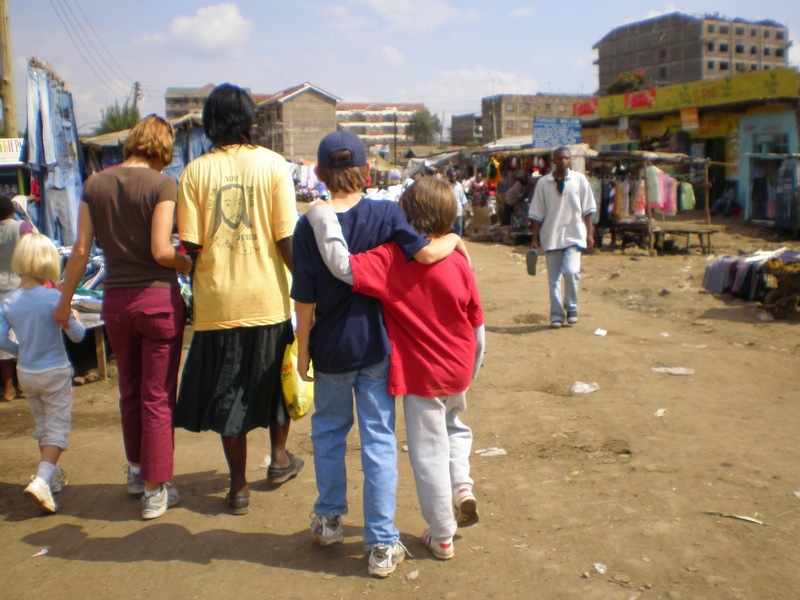 In June 2007, Bill and I took our children to visit Beacon of Hope in Nairobi, Kenya. 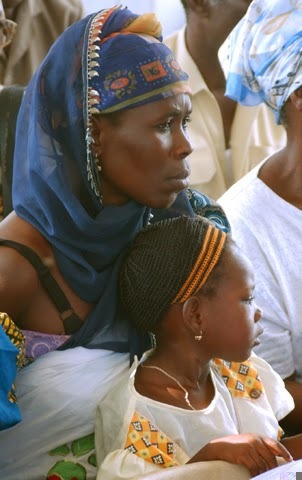 This indigenous organization supports, educates, and helps women and their families who are infected with or impacted by HIV/AIDS. From 2005-2009, my husband produced a music festival here in North Carolina to support Beacon, and he wanted our children to see first-hand what all the fuss was about–why he spent hours putting the festival together, why it was so important. To some extent, I think, we were not surprised by what we experienced there. The team leading our group was compassionate and expert, seasoned in what we would see. And of course there were the many experiences related by my parents, trips to the opposite side of the continent, but very much exposing them to similar need. We are so glad we went. I won’t say that that trip hasn’t come up again, when–confronted by our children with requests for this or that, things enjoyed by their well-heeled peers at the school where I taught–we remind them of what it really means to be in want. But we do live in America, after all. My husband has started a business that (God be praised!) is thriving. 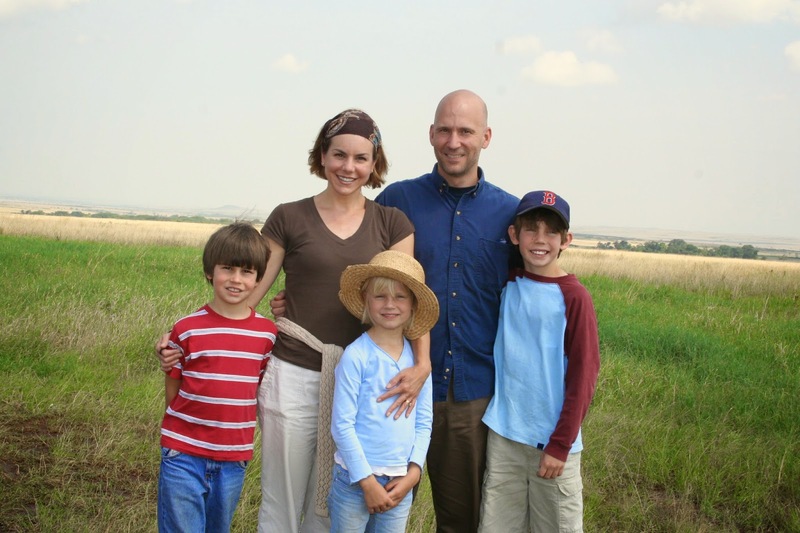 And while our trip to Kenya still feels fairly recent to Bill and to me, for our children it is a distant speck in the rear-view. We want them to remember what they were exposed to in the Kware slum. When pulled by the noisy allure of material things, we want them to know that there is so much more to life than what we own, and that what we own can readily and absolutely and almost always get in the way. Will graduated from high school in May. He turned eighteen last month, and I am grateful that, in a few weeks, he’ll join the Africa Mercy, part of the Mercy Ships fleet, in Madagascar. He is to be with the ship for six months, serving as a cook and otherwise being part of the community that is a floating hospital. Through my parents’ experience on the Anastasis, I can guess at what he’ll see. From my own experience in Christian community, I can guess what he’ll discover. But it’s my deepest prayer that, in this year of forestalling college, he’ll be even more infected than his mother by the vibrant hope that Christ offers. It’s my hope that these six months color the rest of his life–all of the decisions he makes, whether it’s buying a house or a car, or deciding where to invest his valuable time. I won’t say that this is easy for me, this sending my first-born to what feels like the other side of the world. And it’s not just until Thanksgiving, or until Christmas, which is what, I imagine, most mothers of first-year college students have to wait for. It’s until April. But, as Owen Meany once said, “Faith takes practice.” In letting Will go off on this adventure, I am practicing in the keenest of ways what it is I’ve been trying to learn: where to put my treasures. For where your treasure is, there your heart will be also. My children are most decidedly treasures to me, and always, when confronting that verse, I have counted on “storing them up in heaven.” They belong to God, not to me. If He is their Absolute Treasure, as He is mine, then physical separation–especially in the name of Christ–really shouldn’t be such a big deal. Right? Durham to Madagascar: 8,946 miles. 7 hours worth of time zones. And through God’s mercy, Will and I will be working side-by-side, despite the distance, to build the Kingdom of Heaven. We have all of eternity–invisible and more real than anything I’ve known–to look forward to. Six months, in light of that, is nothing. For more on Mercy Ships, watch this. If you are interested in supporting our son Will financially as he embarks on this adventure, we are sincerely grateful. Go here to do so. And thank you. beautifully reflected. poingant. inspiring reminder. i have spent many months on the Anastasis with Richard and Susan. such dear sweet friends, and exemplary saints. and working still with Mercy Ships for the past 20 years, i STILL NEED REMINDED of all you shared. and as heidi baker said: “love looks like something.” lets keep on loving! thank you! colleen c.